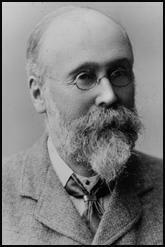 Joseph Rowntree, the son of a Quaker grocer, was born in York on 24th May, 1834. After only five years of schooling Joseph began work as a grocer. He started with his father at fourteen but part of his apprenticeship involved working in London. While working in the city Joseph became very interested in politics and regularly attended debates at the House of Commons. Rowntree returned to work for his father but in 1869 he left to join his brother, Henry Rowntree, who owned the Cocoa, Chocolate & Chicory Works in York. The company only employed thirty workers at the time, but under Joseph's influence the company grew rapidly and by the end of the century it was an enormous international concern with over 4,000 employees. One important development was the decision to produce Fruit Pastilles in 1881. Other new products included Chocolate Drops, Fruit Gums and Jelly Babies. On the death of Henry in 1883, Joseph Rowntree became the owner of the company. As well as running this fast-growing business, Rowntree devoted a considerable time to public work. He served on the committee responsible for two Quaker schools in York and taught in an Adult School on Sunday. Rowntree also played a leading role in the establishment of the York Public Library. He also provided a park in York as a memorial to those killed during the First World War. Influenced by the book Poverty, A Study of Town Life, written by his son Benjamin Seebohm Rowntree, Joseph Rowntree attempted to improve the quality of his employees' lives. He provided a library in the factory and free education for workers under seventeen. A social welfare officer, doctor and a dentist were employed to provide free services for the workforce. Joseph Rowntree also donated £10,000 in 1906 to establish a Pension Fund for his workers. One of his main innovations was to give the workers a say in the appointment of their immediate supervisors. Rowntree's major concern was to find ways of reducing poverty. In 1863 he produced a statistical study on the links between crime and poverty. Two years later he published a second study, Pauperism in England and Wales. Rowntree also provided practical help for the poor and in 1901 he purchased 123 acres at New Earswick to build houses for low-income families. Rowntree was a supporter of the Liberal Party. In 1907 he funded the Nation, a weekly journal that advocated social reform. Three years later he helped purchase the Morning Leader and The Star, in order to stop the newspapers falling into the hands of supporters of the Conservative Party. A long time active member of the Temperance Society, Rowntree wrote several books and pamphlets on the subject including The Temperance Problem and Social Reform (1900), Public Control of the Liquor Trade (1903) and The Taxation of the Liquor Trade (1906). Rowntree was very critical of the Anglican Church for what he considered to be its lack of interest in dealing with social injustice. Rowntree was also in favour of abolishing the House of Lords, an institution that he believed was hampering social progress. Rowntree retained his interest in politics and social welfare until his death in 1925.